North Carolina has three distinct geographical areas. The mountains, the Piedmont and the beach. Each of those areas are distinctive in their grape production. Primarily vinifera in the mountains, a blend of vinifera and french-american hybrids in the Piedmont, and native grapes along the coast. Let it not be said that North Carolina is not a hospitable state – they can provide any wine drinker with the right wines, in the perfect settings. The wines you will find along the coast of North Carolina will primarily be from the native grapes of muscadine, catawba and scuppernong. The most popular (and largest winery in the state) is Duplin Winery, just off I-40 in Rose Hill, heading toward Wilmington. Bottle prices on their wines are mostly less than $10 per bottle, and the winery is an extremely popular local destination. They have over 1800 acres in 4 states under vine, and a multitude of growing partners to keep up with the demand of the winery. Duplin is distributed in 10 states, and can ship to any state that permits direct shipping. You can pick up a bottle of their wine at Professor Market in Tremont, as well as several local supermarkets in the Cleveland area. This winery has been doing what it does since the 1970’s as a family run business, and they produce 1.5 million gallons, or 650,000 cases a year. Many of their wines sell out on an annual basis. These types of wines are not really my thing, but its obvious that they are doing something right for this wine style. 1.5 million gallons a year can’t be wrong. If you want to see an incredible wine production facility, its worth a stop in Rose Hill. They have a restaurant for a mid-day meal, and tasting and tours are free. I consider the Piedmont wine area to be east of I-77, and west of I-95. Others have a slightly different definition, but this is my website, so it’s my definition. Wineries in the Piedmont typically produce vinfera, french-hybrid wines and fruit wines.You will also find a cidery or two in the area. The Piedmont encompasses the Haw River Valley AVA and a sizable chunk of the Yadkin Valley AVA. You can get a little bit of everything in the Piedmont, including the beautiful cities of Raleigh, Greensboro and Winston-Salem. 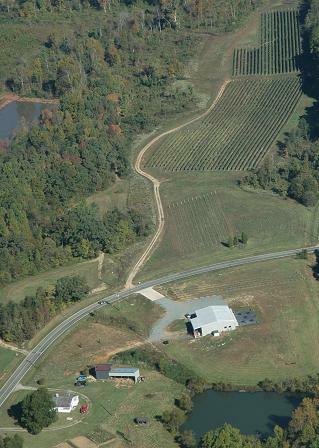 One of the most notable wineries south of the Yadkin area is Grove Vineyard and Winery just north of Greensboro on Highway 29. The folks there are always pleasant and very enthusiastic about their winemaking. Grove opened in 2004, and produces about 3000 cases of wine a year. 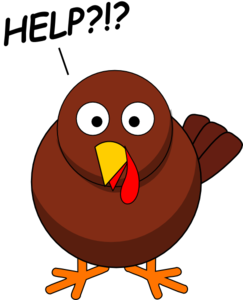 They are great supporters of area canoeing and biking events because of the winery’s proximity to trails and the Haw River. Their primary wines are vinifera grapes of Cabernet, Cab Franc, Merlot, Nebbiolo, Sangiovese, Chardonnay and Tempranillo. They also do well with their popular Traminette and an incredible Norton, grown from vines on a winery owned southwestern Virginia property. I am (perhaps overly) fond of their 2006 Merlot, the Nebbiolo, 2009 is currently available, and their Norton. Grove also produces popular fruit and sweet wines that typically sell out before most folks even realize they were released. 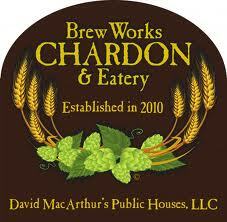 This is an award winning winery with easy access from the interstates and highways, and definitely worth the trip. Grove wines are widely available in stores throughout North Carolina, with prices in the $12-20 range, reserves a bit higher, but definitely worth it. Tasting fees run $5 for 6 wines, and you keep the glass. The mountain areas of North Carolina are west of I-77. Most of these wineries are small production, boutique wineries that specialize in vinifera. The further west you go into the mountains, you may encounter wineries that are importing juice from world sources. 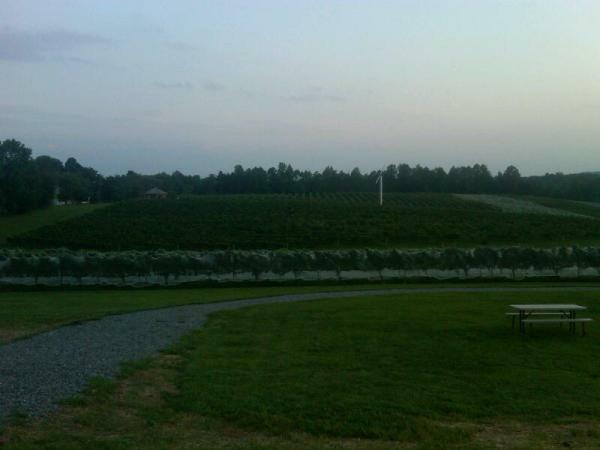 However, there are many wineries in the Yadkin Valley AVA that are growing their own grapes, and most wineries south of Charlotte are also in the vineyard business. 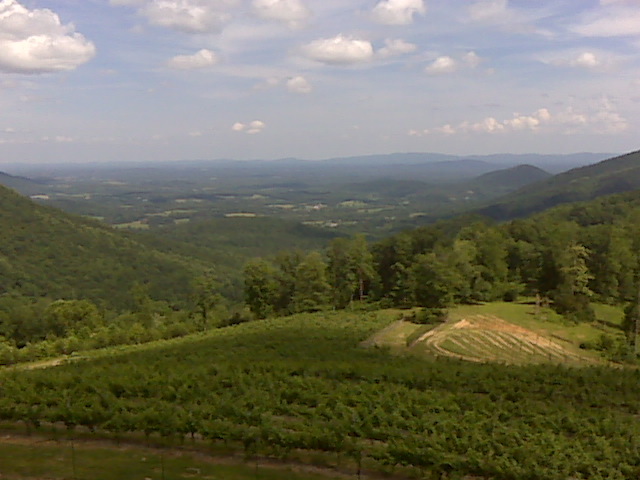 One of my favorites in this area is Round Peak Vineyards, in the foothills of the Blue Ridge Mountains near Mt. Airy. They embrace the outdoor lifestyle, with so many beautiful trails nearby; the spirit of cooperation in the wine community in Yadkin Valley; and they make some creative and delicious wines. Les Trois Chiens, a blend of Cabernet Sauvignon, Cab Franc and Merlot is one my favorites in their lineup at $19, and their Cab Franc is definitely a must try at $16. They also bottle a line under the Skull Camp label – these wines are their sweeter vinifera varietals, all with a residual sugar above 1% and they are very popular. The Barbera and Petit Manseng blend in “Flirtation”, selling for $13, has 1% RSV, and is a great representation of what can be done with Petit Manseng in North Carolina. Sean McRitchie is their winemaker, owner of McRitchie Winery and Ciderworks, and he brings incredible experience to winemaking in the Yadkin Valley. New winery owner Ken Gulaian has completed the Surry Community College Viticulture program, so I can’t wait to see his signature in the Round Peak wines. They do their tastings by flights, 6 wines for $6. The beautiful tasting room and surrounding countryside make this a complete NC wine country package. You can find more information on North Carolina wineries, get a wine map, and plan a visit. There are over 100 wineries throughout the state. A good one isn’t too far off your path. If you’ve visited North Carolina wine country, what’s YOUR favorite winery? These are only a few of mine… there are some real hidden gems. Posted in North Carolina, travel, wineries, Yadkin Valley and tagged drink local, regional wine week. Bookmark the permalink. Or… the Crazy Things Bloggers do to win prizes. Regional Wine Week is the brainchild of the DrinkLocalWine folks, Dave McIntyre of the Washington Post and Jeff Siegel, the Wine Curmudgeon. Two writers I read regularly, and I highly recommend them. The idea here is to focus, for one week, on spotlighting wine that is from US states other than California, Washington or Oregon… ie. “the Other 47”. The folks at Drink Local Wine wanted Drink Local advocates to start Regional Wine Week by writing a 47 word essay. Here’s my attempt. but the good; that can be amazing. Its good, from the East Coast. Award winners, RP 90+, good QPR from the Other 47. I don’t think I’m winning any fabulous prizes, but I can’t ever pass up an opportunity to talk about drinking the wine that is grown where you live. Its not just #locavour any more – eating local, but #locapour – drink local. You never know what you might find! I have posts scheduled every day this week on some of our Other 47 adventures. Ohio, Virginia and North Carolina will be featured of course, as well as Michigan and New York. Sunday’s round up will be my Top 5 Other 47 wines. Stay tuned! Posted in events, North Carolina, Ohio, Virginia and tagged drink local, regional wine week. Bookmark the permalink.